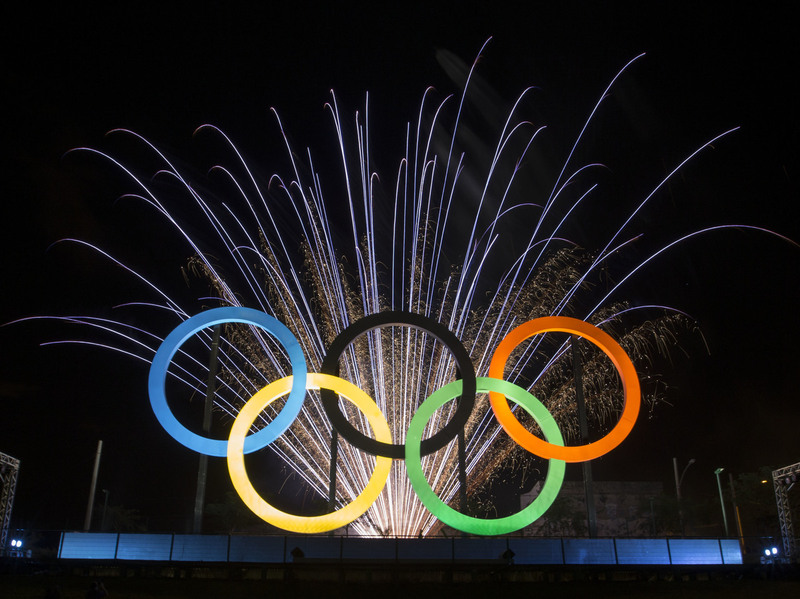 Olympic Committee Could Bar 31 Athletes From Rio Games : The Two-Way After the retesting of samples from the 2008 Beijing Olympics, dozens of athletes from six sports could be banned from the 2016 Games in Rio, the International Olympic Committee said. A major doping crackdown dating back to 2008 could result in 31 athletes being barred from competing in the 2016 Rio Olympics. After retests of samples from the 2008 Beijing Olympics, 31 athletes from 12 countries in six sports could be banned from this summer's Olympic Games in Rio de Janeiro, the International Olympic Committee said Tuesday. In a statement, the IOC said it retested 454 samples from the 2008 Beijing Games, using "the very latest scientific analysis methods." The retesting yielded suspicious results from dozens of athletes. "All those athletes infringing anti-doping rules will be banned from competing at the Olympic Games Rio 2016," the statement from the IOC said. The IOC said it is expecting 250 more results from retested samples taken at the 2012 London Games. Retesting samples from Olympic Games is not a new practice. As drug testing technology improves, the IOC is able to better analyze samples. The Associated Press reports that a few months after the Beijing Olympics, the IOC "reanalyzed nearly 1,000 of the total of 4,000 samples with a new test for the blood-boosting drug CERA. Five athletes were caught, including 1,500-meter gold medalist Rashid Ramzi of Bahrain." The news service also reports that "nearly 500 doping samples from the 2006 Winter Olympics in Turin" have been retested, but the IOC has not revealed whether any of the tests came back positive. The AP adds: "five athletes were caught in retests of samples from the 2004 Athens Olympics, including men's shot put winner Yuriy Bilonog of Ukraine." "In a dark-of-night operation, Russian antidoping experts and members of the intelligence service surreptitiously replaced urine samples tainted by performance-enhancing drugs with clean urine collected months earlier, somehow breaking into the supposedly tamper-proof bottles that are the standard at international competitions, Dr. Rodchenkov said. For hours each night, they worked in a shadow laboratory lit by a single lamp, passing bottles of urine through a hand-size hole in the wall, to be ready for testing the next day, he said." The IOC requested the the World Anti-Doping Agency fully investigate the allegations. The IOC also directed its lab in Switzerland — where the Sochi samples will be stored for 10 years — to cooperate with WADA's analysis. "All these measures are a powerful strike against the cheats we do not allow to win. They show once again that dopers have no place to hide," said IOC President Thomas Bach in the statement. "The re-tests from Beijing and London and the measures we are taking following the worrying allegations against the Laboratory in Sochi are another major step to protect the clean athletes irrespective of any sport or any nation." The revelation about corruption in Russia's anti-doping lab also prompted the U.S. Department of Justice to launch an investigation, according to the Times. A spokesperson from the U.S. Attorney's Office for the Eastern District of New York would not confirm the probe to NPR, citing DOJ policy to not comment on investigations, but the Times, citing "two people familiar with the case," said "prosecutors are believed to be pursuing conspiracy and fraud charges."